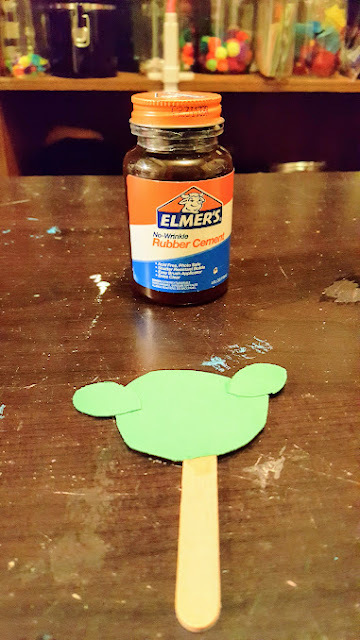 May the 4th is right around the corner and Star Wars fans will love this super easy and cute craft to add a little force fun to the special day! My son Rolf, is the biggest Star Wars fan ever. He loves to play with Star Wars action figures after school! I wanted to add something fun to his daily Star Wars play and I made something cute and easy to delight him! 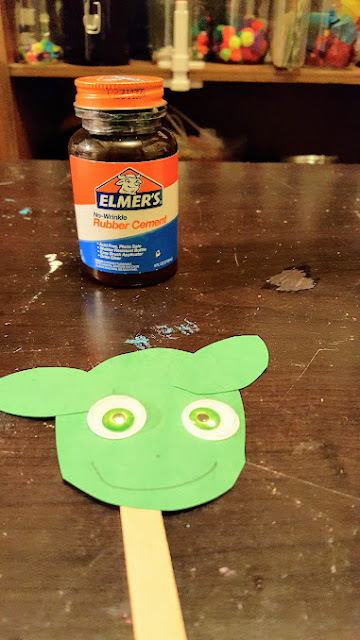 This is so easy, all you need are 2 ovals of green paper, a circle of green paper, a popsicle stick, 2 googly eyes and some glue. 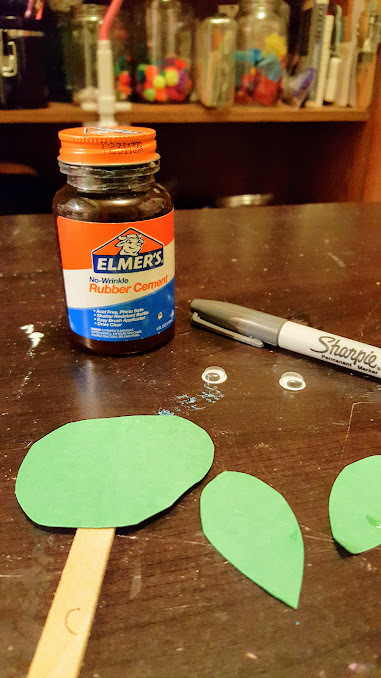 Begin by gluing the oval ear shapes to the large circle of paper. Next glue those onto the craft stick. 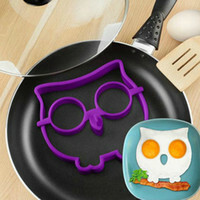 Add the eyes and draw on a smile. There you have an easy Yoda craft puppet!